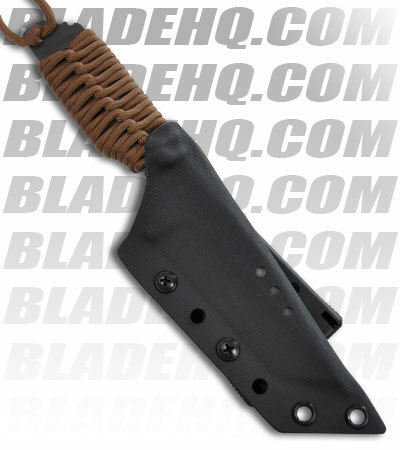 The CPM S30V tanto blade is multi-ground with a flat ground edge, razor sharp! 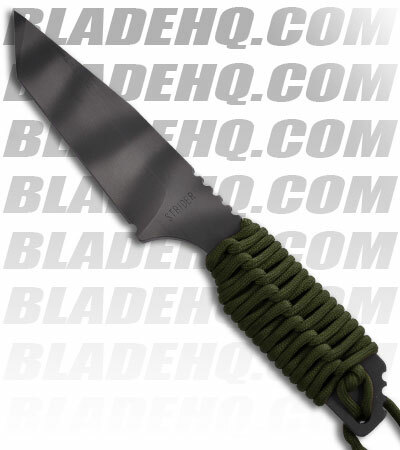 The tiger stripe finish gives this knife a tactical, low profile look. 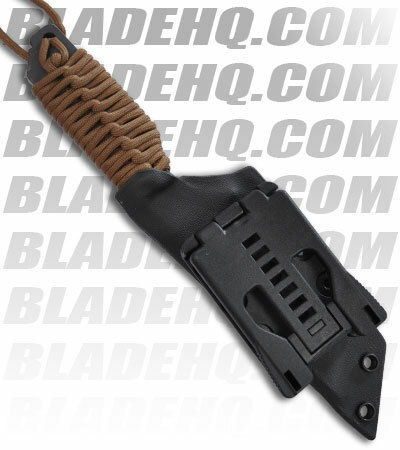 The front tang is marked "STRIDER" and the back has the logo. Full tang construction makes this knife very solid. Handle is paracord wrapped (OD green) and features jimping on the thumb ramp. Includes heavy duty MOLLE compatible Kydex sheath system.